By signing up for The Crow's Nest, you'll find out how to collect far more income from your investments than you ever have before. From buying stocks to plotting your retirement, taking advantage of tax breaks, and avoiding the costly investment pitfalls that 99% of investors make. I've taken all my years of experience and boiled them down to an easy-to-follow program that will help secure your finances, grow your nest egg, and allow you to retire in comfort. My service is aimed at investors of all levels — even if you've never bought a stock in your life, this is for you. 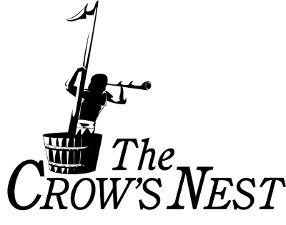 12 Monthly Issues of The Crow's Nest: Each month, delivered right to your email inbox, you’ll receive this exclusive financial research newsletter filled with little-known moneymaking methods and investment opportunities. You won’t find recommendations and financial strategies like these on the pages of The Wall Street Journal, Forbes, or any other mainstream publication. 24/7 Access to The Crow's Nest Archives: Once you get started and register as a new subscriber, you’ll get immediate access to our password-protected website, where you can view all of our past monthly issues, research reports, research videos, and our model investment portfolio. Urgent Investor Alerts: I will tell you what to buy and sell at the most opportune time. There is no guesswork on your behalf. If there's a moneymaking move that requires immediate attention, you'll get a quick alert to take action. Reliable Support Staff on Hand: Got questions? Our support staff is ready to deal with any queries you may have. If you sign up today, you’ll get everything for just $139. When you subscribe to The Crow's Nest with your credit card, you will be billed that subscription choice rate. Every 12 months thereafter, we will automatically bill your card for $139, the lowest renewal rate we offer. With this auto-renew feature, you lock in the lowest available price and guarantee that you never miss an issue of The Crow's Nest. This auto-renew feature does not obligate you in any way; you may opt out of auto-renew at any time after this purchase, and you can still cancel within the first 30 days to receive a full refund.